SafeWay The Woodlands High School is owned and operated by John and Terry Gatesman, long-time residents of the Woodlands community. John, Terry and their team are committed to preventing “The Phone Call” that nobody wants to receive by providing the best driver training in the Woodlands area. Take your driver training seriously, and take it at SafeWay. SafeWay The Woodlands High School is owned and operated by John and Terry Gatesman, long-time residents of the Woodlands community. John, Terry and their team are committed to preventing "The Phone Call" that nobody wants to receive by providing the best driver training in the Woodlands area. 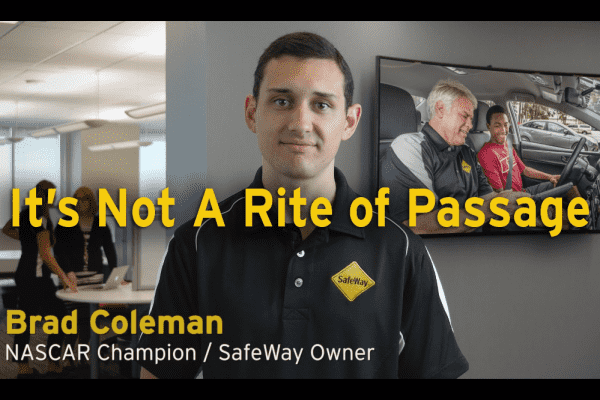 Take your driver training seriously, and take it at SafeWay.